Picasso. Dali. Warhol. Duchamp. There are icons aplenty in the NGV’s enormous new show – make sure you spend time with these. 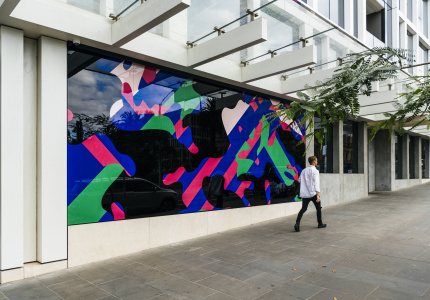 Melbourne is currently playing host to more than 200 works from one of the finest art collections in the world. 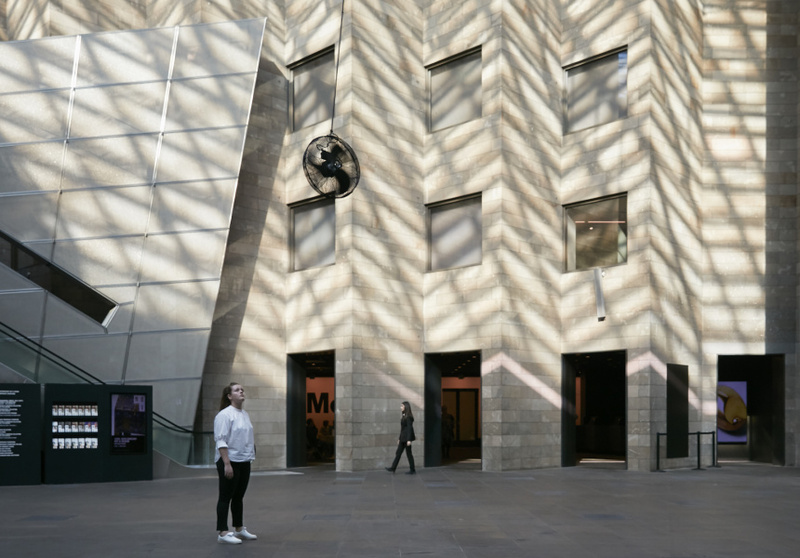 MoMA at NGV: 130 Years of Modern and Contemporary Art is a taste of the famous New York gallery, which emphasises both the quality and breadth of its impressive stockpile. All 230 works are worth your time, but we recommend lingering a little longer at the following five. Until recently, Federation Court was home to Xu Zhen’s Eternity-Buddha in Nirvana, an eighteen-metre-long Buddha draped in neoclassical statues. Its replacement couldn’t be more different. Olafur Eliasson’s Ventilator (1997) is a single house fan hanging precariously from the ceiling on a thin wire, propelled by its own air. It’s easy to miss, and deceptively simple, drawing attention to the emptiness of the space as it swings through the atrium unpredictably. The motif of the fan begins with the Danish-Icelandic artist’s flying version, but recurs throughout the show. There’s the brass-bladed model GB1 fan designed by Peter Behrens (1908), a functional design landmark, and pop artist Claes Oldenburg’s Giant Soft Fan (1966–1967), a large, drooping black mess made of vinyl. Past the van Gogh and Cézanne paintings, and near Toulouse-Lautrec and Matisse, there’s a short, hypnotic film by French cinematic pioneers the Lumière brothers. This was their attempt to capture American dancer Loïe Fuller’s Serpentine Dance, in which a vivid light show is projected onto the dancer’s dress. With colour film still a daydream at the time, brothers Auguste and Louis hand-painted each frame, from orange to pink, and blue to green. The result captures only an estimation of the dance, but creates something new and strange in the process – a machine playing back a dance from the past, in which an item of clothing is a screen within a screen. It holds its own against its big-name neighbours, and ties neatly into the theme of the mechanical merging with artistic practice: see Fernand Léger’s film Ballet Mécanique (1924) in the next room, as well as Sven Wingquist’s train and plane parts, and Marcel Duchamp’s daring Bicycle Wheel (1951). Some of the giants of twentieth-century art take up the least space. This Kahlo self-portrait, like the iconic Salvador Dali around the corner (The Persistence of Memory, 1931), is only about the size of a piece of A4 paper, but its place in the popular imagination is inestimable. In this piece, one of the legendary Mexican artist’s 55 self-portraits, Kahlo sits nonchalantly in a chair, dressed androgynously in her ex-husband’s suit and heeled boots, surrounded by snakes of hair. A pair of scissors sits limply in her lap. She’s shedding her feminine visage, rejecting expectations and defiantly meeting our gaze with her own. It’s a frontier of feminism. There’s plenty more of it later in the show. Is this a sign celebrating the NGV’s donors? Or is it a plate informing us that someone important was born at this spot several lifetimes ago. It’s neither. Lean closer and feel the existential dread. American artist Jenny Holzer uses text to communicate directly with her audience, sometimes in pen on flesh, sometimes in LED lights. In her Living series she subverts the authority of a brass plaque with a personal observation on the feeling of creeping anxiety: “Some days you wake up and immediately start to worry. Nothing in particular is wrong, it’s just the suspicion that forces are aligning quietly and there will be trouble.” It could be a tweet; here it’s immortalised in brass. 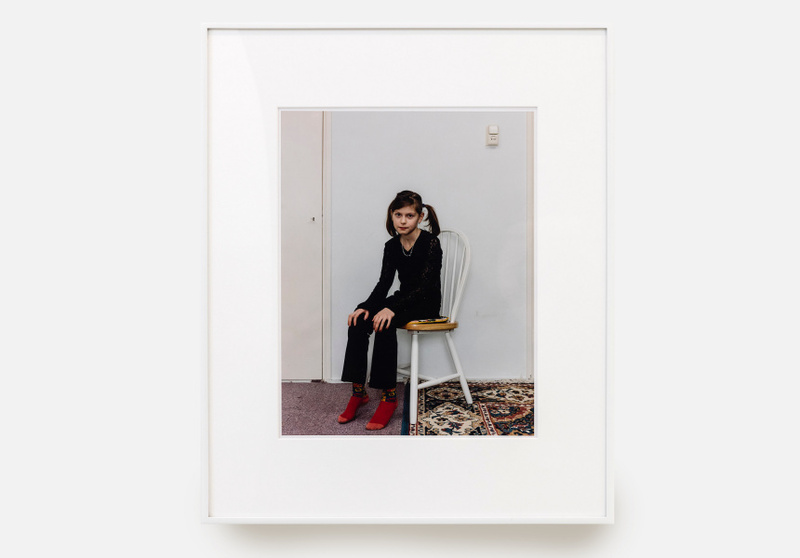 In the final section of the exhibition, titled Flight Patterns, alongside a nostalgic split-flap flight information board, and hotel-sign sculptures, there’s a captivating photo series by Dutch photographer Rineke Dijkstra. Dijkstra met young Bosnian refugee Almerisa when she was just a girl in 1994, and remained a part of her life for 14 years, photographing her over that time. Almerisa evolves from a sweet kid to a teen in Doc Martens to a mother – half a lifetime in eleven photos. It’s a fascinating longitudinal study of a refugee acclimatising to a new country, and of the human experience in general. 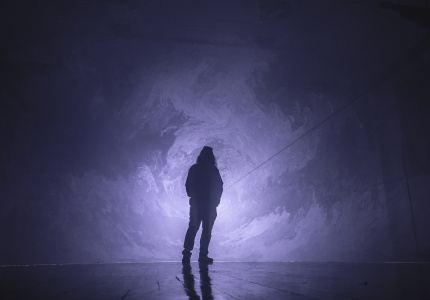 MoMA at NGV: 130 Years of Modern and Contemporary Art runs until October 7. 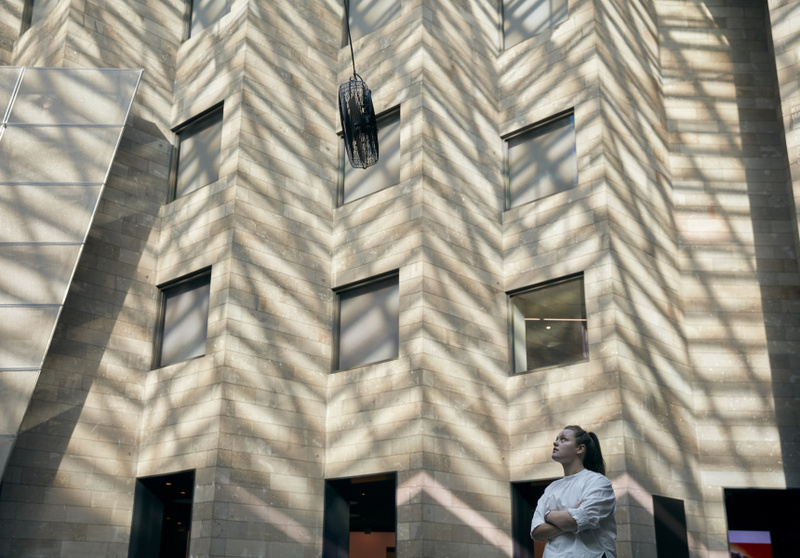 Broadsheet is a proud media partner of the NGV.